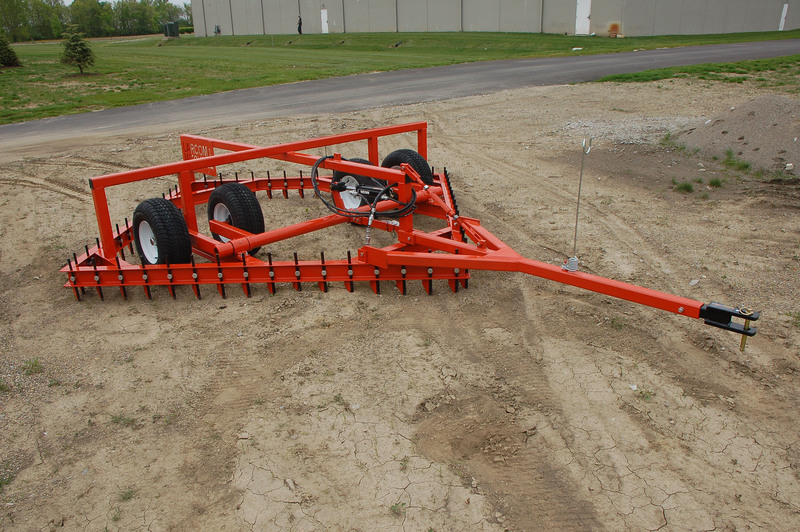 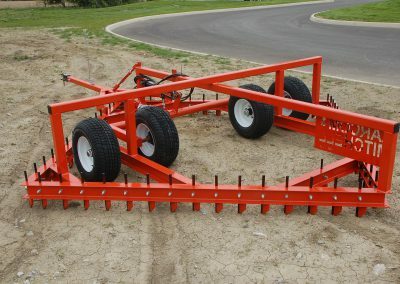 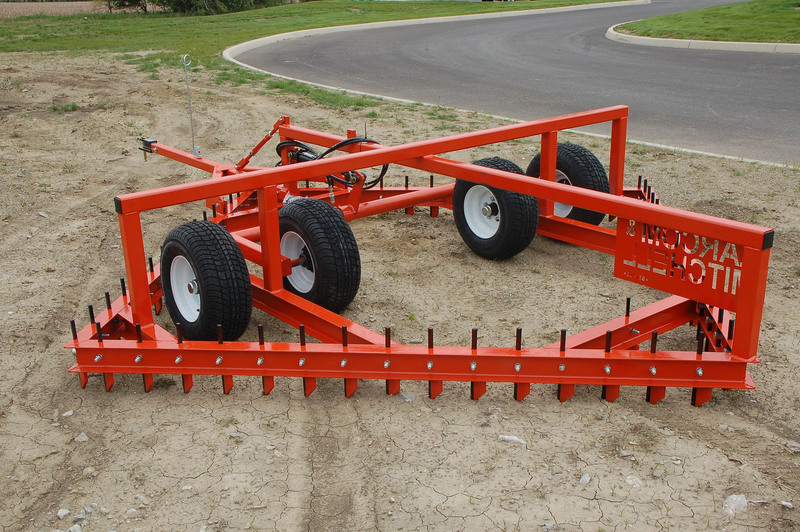 The Larcom and Mitchell 8’ Square Harrow is the perfect complement to the track conditioner. 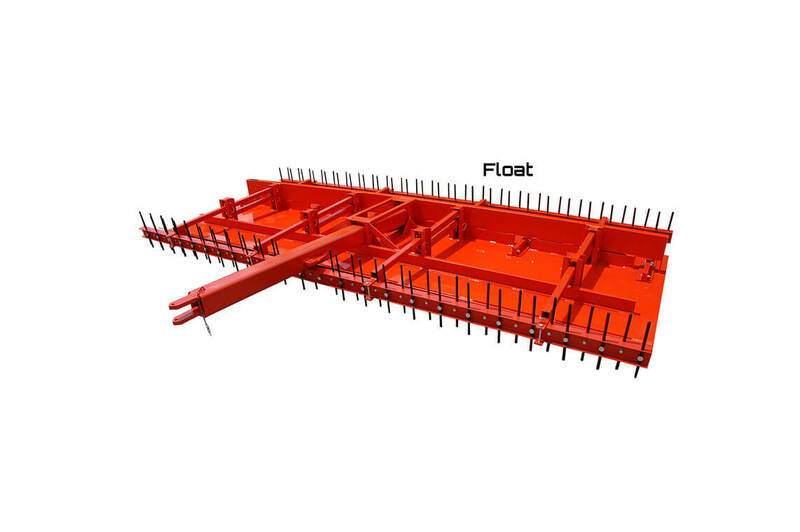 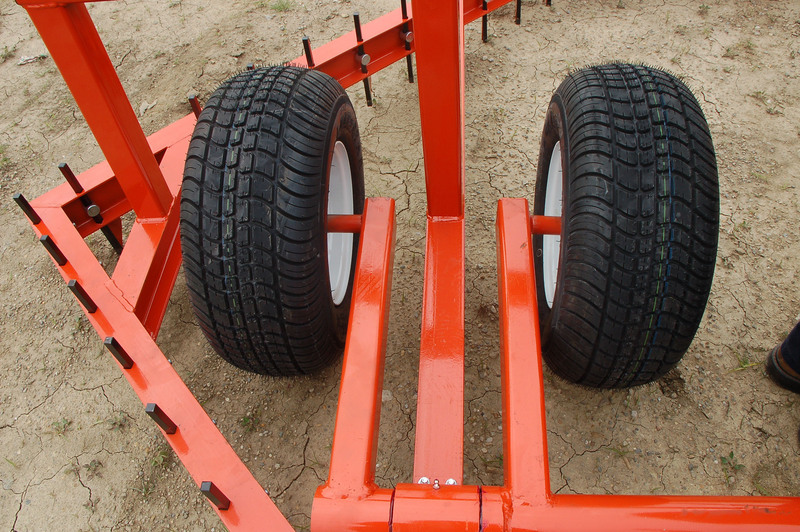 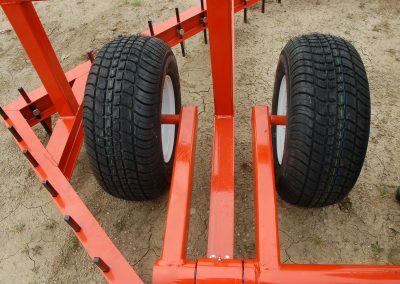 It is designed as a finishing harrow which allows the user to provide a nice even cushion with very little effort. 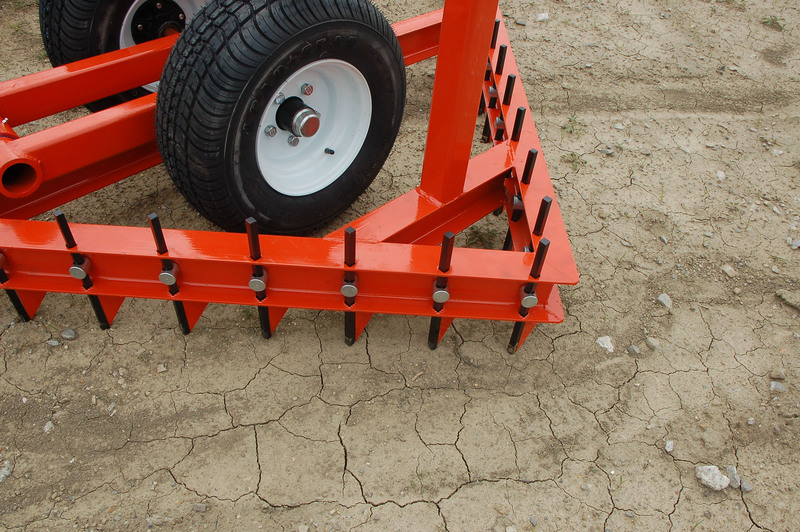 Like the track conditioner, the 8’ Square Finishing Harrow can control the cutting depth to 1/8” cushion. 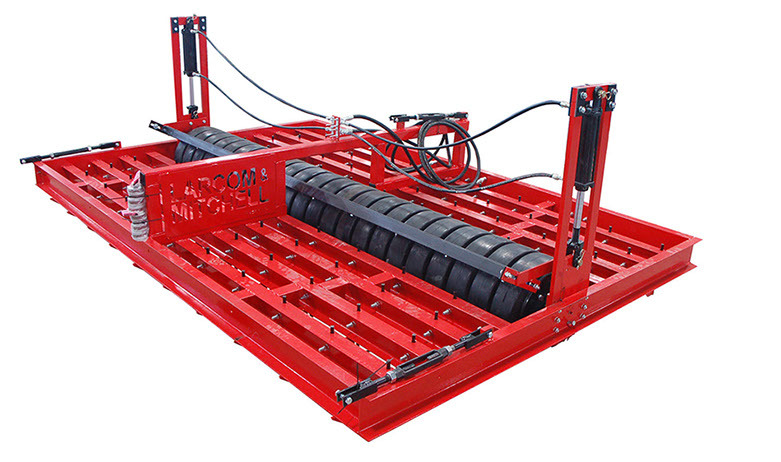 Hydraulic lifts wheels control cut depth and also raise the unit for easy transportation off the track. 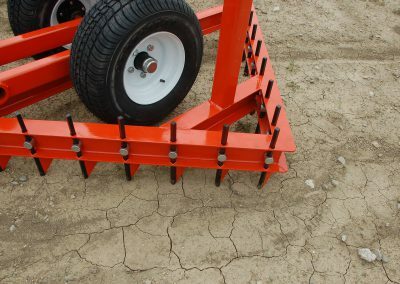 The Square Harrow offers far greater movement of material because the angled front teeth push material out, and the rear teeth move it back in, for better overall conditioning and a much smoother finish. 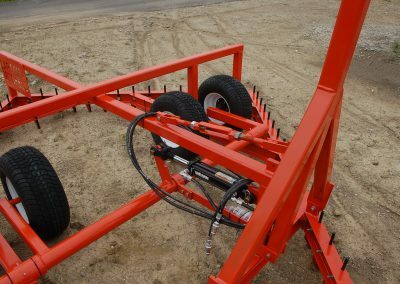 The 8’ Square Harrow also comes with Larcom and Mitchell manufactured hardened steel and tungsten carbide tipped teeth. 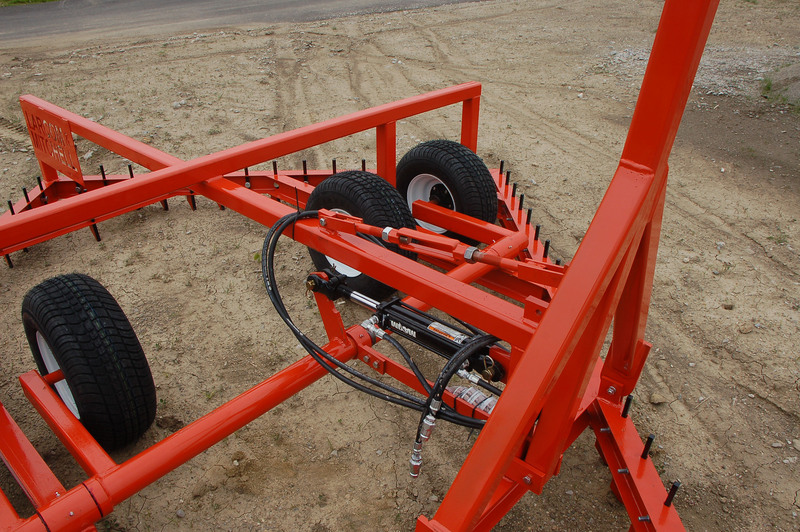 The teeth are backed by solid steel welded gussets add support, provides better performance, and extends the life span of the cutting tooth. 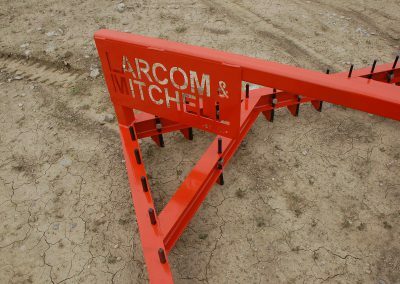 Larcom & Mitchell’s professional grade track equipment is used by leading NTRA and HTA race tracks worldwide. 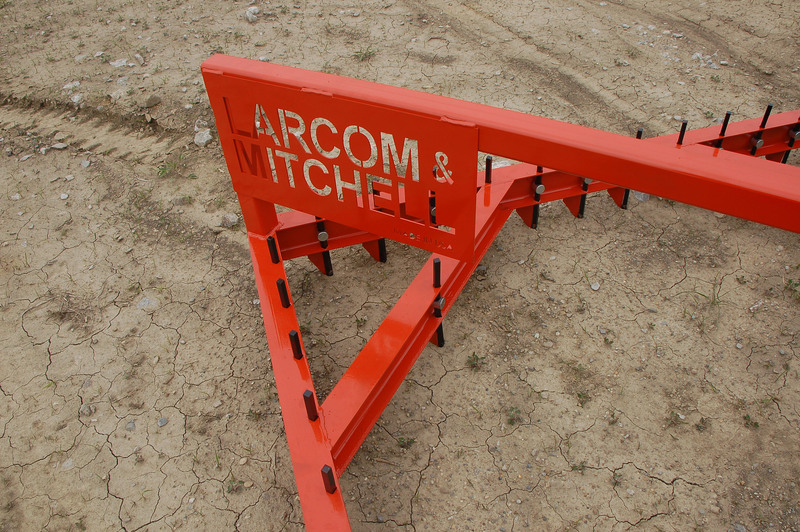 All Larcom and Mitchell Square Harrows are made with pride in the USA.